Now I know it’s always useful to have a bon mot or two at your fingertips, but the chance to ever use these chaps has never materialised. I don’t play rugby (although when I lived in London, the Tube on a hot summer evening came quite close) and, fortunately, I’ve never happened across a crashed plane. I became a specialist valuer. A world apart from foreign travel, I know, but I’ve always enjoyed language, and quietly hankered after a job (in retirement, maybe), writing phrasebooks where I could let my imagination run riot and produce the most obscure expressions, all purely for my own amusement. So what about travel phrasebooks? A little like a lifevest on an aircraft, or a first aid kit in a car, I feel. Comforting to have close by, but probably not a lot of use in an emergency. There’s all that furious turning of pages with never quite the right expression or piece of vocabulary to hand. Oh, and that dawning realisation that a 1-year language course at evening class might have been slightly more productive than the lazy man’s way to communicate with Johnny Foreigner. And what’s this got to do with the Mongol Rally? Well on Saturday I was out in Leamington Spa with the wife and daughter, and while they went off girly shopping, I had a mooch around Waterstones bookshop. 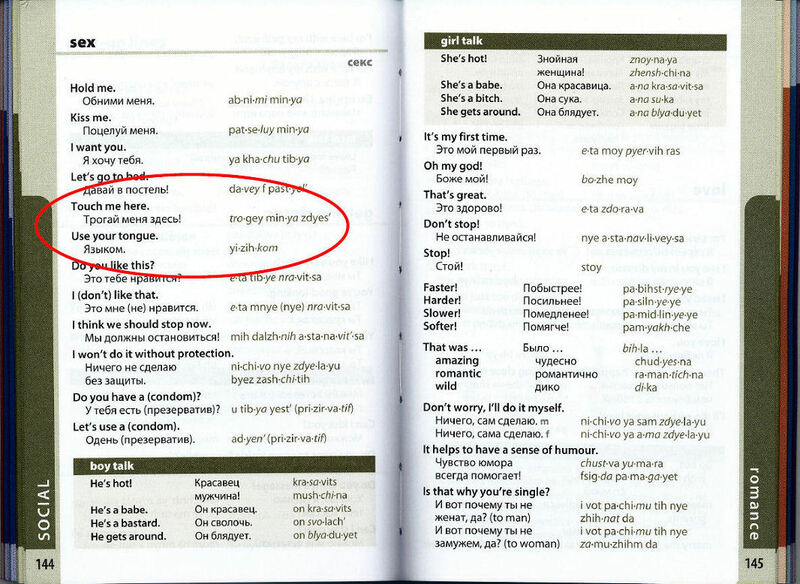 I thought a Russian phrasebook might be useful for the trip, given that many of the countries we’ll be travelling through still speak Russian, even as a second language. So I grabbed one off the shelf and paid for it. The daughter started reading it to me in the car on the way home. I realised I should perhaps have been a bit more careful in my choice when she started on the Social section and asked me loudly how much use I’d be finding for expressions such as “Трогай меня здесь!” or “Язьɪком”. These, apparently, are Russian imperatives to “Touch me here” and “Use your tongue”. Jesus Christ, whatever happened, I ask myself, to (the clearly less useful) “Where is the Town Hall?” and “I would like a room for two nights, please”?